Thoraiya Dyer is an Australian writer based in Sydney, NSW. 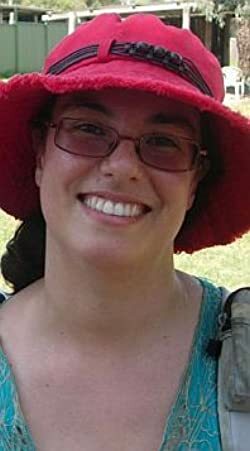 Her short fiction has appeared in magazines including Clarkesworld, Apex, Cosmos and Analog, and anthologies such as “Long Hidden,” “War Stories,” and “The Mammoth Book of SF Stories by Women.” A lapsed veterinarian, her other interests include bushwalking, archery and travel. Click here for more stories by Thoraiya Dyer. 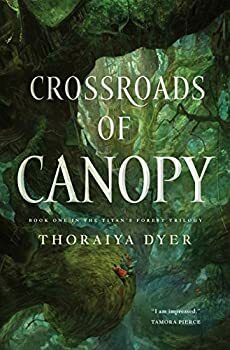 The thing I loved most about Crossroads of Canopy, by Thoraiya Dyer, was the elaborate and coherent world she’s created in this new fantasy, Book One in the TITAN’S FOREST trilogy. Published in 2017, Crossroads of Canopy introduces us to a society that lives in a forest, at all elevations, from the Floorians to the Canopians, who are called “Warmed Ones” because they are the only ones to feel the sun directly on their skin. With a complex theology filled with gods who incarnate as humans, a political structure that has secular rulers as well as gods, and a detailed hierarchy that is literal as well as a metaphor, Dyer brings us right into the forest and sets up a convincing adventure for our main character, Unar.